The Armory Park Neighborhood Association is creating a new parking program for residents in the neighborhood. It’s a voluntary program that’s designed to complement the already existing Parkwise programs that are currently available to all residents in the area. By covering areas where those programs are not desirable, needed, or cost effective; it can provide some of the same benefits, and potentially a few added benefits, at minimal cost to residents. 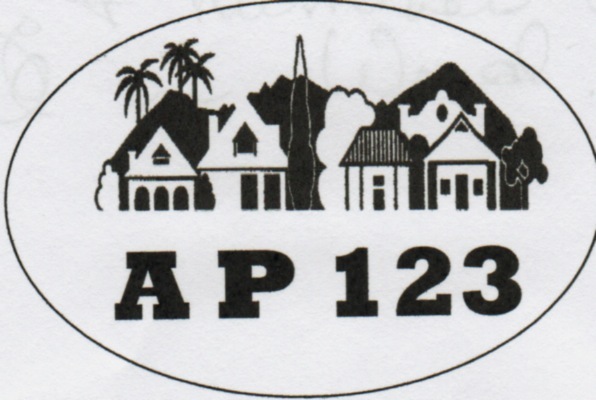 Each membership will be provided with one free sticker, and additional stickers for extra cars, or stickers for non members can be purchased at minimal costs. Essentially, if you are willing to provide your name, address, phone number, and make, model and year of your vehicle, both TPD and Parkwise, (who have both expanded their coverage areas and enforcement criteria) have promised to give you a call to help remedy the potential parking violation BEFORE they write you a ticket. The information is generally available to those officers anyway, but, currently, it is entirely their discretion of what to enforce and when. Currently, by city code, if your vehicle is registered to a business, PO Box or anything other than your physical address, it is not exempt from the 24 hour “action of removal” for a vehicle on city streets. The exemption for resident vehicles of 7 days does not apply unless it’s registered to that address. Also, for many “non-complying” properties that were in existence 100 or so years before the current code, you can’t legally park in front of an abandoned curbcut or many of the other variations that exist in our historic neighborhood. We have developed this program in partnership with TPD and Parkwise to address the unique situation in Armory Park. It will also be used as a test pilot program in the historic areas of downtown that don’t meet city code which was largely developed based upon the needs of later ( post 1925) development in Tucson. 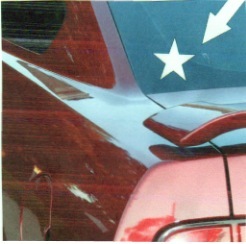 The numbered stickers, which correspond to your provided contact info, will need to be placed on the inside of your rear window, driver’s side, as shown. We have several bids to produce the stickers. The APNA board will vote to approve their printing at the April meeting. We hope you will join us in supporting this pilot program that may help to resolve the differences in code and ever-changing application and enforcement in the greater downtown area. But it will help residents and officers to determine which vehicles really “belong” here, and those that are just “visiting”. It won’t absolve anyone from clear violations –i.e. blocking a neighbor’s driveway, but it will potentially help anyone who ever takes a vacation, drives a business vehicle, has more than one vehicle, and/or limited or non-existant off-street parking. The stickers, their availability, and their costs (way less than a Parkwise sticker), and (besides the free one with each membership) will be posted soon! Thanks!